Described by the legendary John Peel as “my natural successor”, Mixmaster Morris is one of the most respected DJs ever, full stop. Many of the most influential and significant acts that have shaped electronic music over the past 30 years have Mixmaster Morris to thank for playing a significant role in their early careers. He has consistently championed artists who have gone on to achieve greatness, long before anyone else had heard of them. He’s currently working on an eagerly awaited new album, the first in over a decade. It would take three books and a film to even begin to scratch the surface of Mixmaster Morris! He’s a phenomenon, a legend himself and an Irresistible Force! Oli Bolland is multi-diciplinary artist from London who’s visuals work experiments with the use of practical in-camera effects, film and technological manipulations. He has previously provided visuals for acts across a multitude of venues and occasions; most recently serving as resident projectionist for OZ at Brighton’s Green Door Store. At Splice, Rogatchevski presents Souvenir, a piece about memory, texture and documentation. The soundtrack is composed from sampled charity shop LPs and AM radio sweeps. Augmenting and reworking certain aspects of these unwanted cultural documents reanimates their content, whilst careful juxtaposition reimagines their hidden potential. The live audio is coupled with moving images sourced from the artist’s own archive, shot many years ago, but never used. These images now provoke questions of truth and texture… what is more potent: the memory or a digital recording of it? For Splice, Zena performs Interplay – her third project in a recent trilogy of experiments and collaborations bringing together music, graphics and performance art. The project is based on the ‘interplay’ concept borrowed from the jazz world, where participants set-aside the usual artistic hierarchies of leader and followers in favour of interchange where every performer affects the other. During the performance, every gesture causes an amplified sound and every sound a gesture, corresponding to signs and further gestures created with unconventional objects. The sound finds its form and takes shape with the final artwork being the score of the performance! German artist Christian Faubel is an interdisciplinary scholar working in the differing fields of neuroscience, autonomous systems research and media art & design at the Academy of Media Arts in Cologne. In his work, Faubel’s interested in what enables complex behavior, and how this may result from the interaction of very simple units and their interrelations. His artistic colleague Ralf Schreiber, also from Cologne, works with electronics, solar panels, motors and miniature loudspeakers. His playful and experimental works generate gentle sounds and tiny movements, and in so doing explore low-energy transformation processes of light into movement and sound. They make music with machines and electronic circuits that function according to their very own logic, exploring the tonality of material and the very materiality of sound. As they explain “we want to give voices to things, and do so by careful manipulation of the machines and their surroundings”. For the audience, this process is made transparent by placing the machines under an overhead projector, so that their movements cast a silhouette, a kind of ‘shadow play’. As they conclude “Similar to live coding it’s our improvisation with the machines that matters. It’s a live experimentation in search for patterns, musical structures and minimal techno that we like to dance to”. Optika is the moniker of Colombian visual artist Laura Ramirez. In her performances, she plays with audiences perceptions, melding digital art with audiovisual narratives. She also runs ‘Optika Studio’ an AV label where she manages live events, advertising projects and academic content. Optika has been performing internationally since 2008, at events like Mapping Festival, VJ University, Nuite Blanche, SSA Festival, LPM (Live Performers Meeting) amongst many others. Ramirez has also directed large scale projects in Colombia, including the VIP stage area for Katy Perry in concert. She’s also worked with the United VJs and has created designs for largescale LED media facades in both Colombia and Brazil. For Splice Festival, Optika performs her project ‘Singularity’, a live visual performance inspired by the concepts of gravitational singularity, creating a synesthetic experience that synchronously communicates images with sound, creating an immersive environment that evokes outer-space and the sounds of the cosmos. Gravitational singularity is an area of complex space that’s not yet fully understood, black holes and the origins of the universe are good examples. Many questions arise that make us think about outer space and Optika’s performance aims to artistically recreate how space without time could look and sound. Signed to Berlin’s respected Sonar Kollektiv label, Mïus is the music project of Budapest-based artist Gergely Álmos. He defines it as a ‘multi-art project’ where different fields of self-expression meet each other. Collaborative partner Andrea Sztojanovits, who performs under the moniker of Attaray Visual, graduated from the Hungarian Academy of Fine Arts and the Doctoral School of the Academy in Budapest. For this year’s Splice, they explain their collaboration, an audiovisual experimentation, in very poetic terms “is a journey to a timeless audiovisual microcosmos. When you see your own light in total darkness, it’s single value carries the only intensity level. In that world, the audiovisual journey begins, driving you through fractured shapes, black frames and white circles among triangle mountains, across the digital fields where you see a grey full moon and your breathing begins to slow… you hear a gong and see the vibrations and resonances in the air. This is the abstract universe”. Adam Smith is an award-winning film, television drama, documentary, and music video director. His filmmaking journey began as a teenager, making visuals for raves and nightclubs in a creative collective, which he co-founded, called Vegetable Vision. He is best known for his long-term collaboration with The Chemical Brothers. Smith has worked with The Chemical Brothers since their first gig in 1994, designing the surreal and visionary video elements of their live shows. His music video for their song ‘Galvanise’ won the Grand Jury Prize Award for Best Music Video at Resfest 2005. In 2012 Smith directed the critically acclaimed Chemical Brothers concert film ‘Don’t Think’. Audiences took to their feet in cinemas worldwide and danced in the aisles. ‘Don’t Think’ was awarded 5 stars by Empire magazine and won Best Live Film at the Music Video Awards 2013. For Splice, Smith hosts a special talk discussing his work, processes and production methods through a series of live demonstrations with help from Mark Monero. Smith has also collaborated extensively with Mike Skinner of The Streets. His banned from TV, video for ‘Blinded by the Lights’ won the DMA Best Video and was nominated for the D&AD Silver Pencil in 2005. Smith’s comedy musical/extended music video ‘What goes up must come down’ starring Charlie Creed Miles (and featuring a cameo from Kathy Burke) won Golden Falcon Award at Ibiza Film festival 2007. In 2007 Smith directed four episodes of the highly influential drama series ‘Skins’ (Series 1) which helped launch the careers of Nicholas Hoult, Dev Patel and Kaya Scodelario. He followed this with six episodes of Charles Dickens’s ‘Little Dorrit’, the multi Emmy award winning mini-series for the BBC and WGHB starring Tom Courtney, Mathew Mcfadden and Claire Foy. In 2010 Smith directed Matt Smith’s opening episode as ‘Doctor Who’, an instant hit with the shows worldwide viewers. Documentaries for Channel 4 include an early portrait of the Grime music scene ‘Wot Do U Call It?’ and ‘A.I.P.S’ which looked at a group of Englishmen who reenact the Vietnam war in Kent.’Ghetto on Sea’ for BBC THREE charted the trials and tribulations of running a pirate radio station. He has made commercials for Nike (starring Wayne Rooney), The National Lottery, and The Children’s Society. His short film for the Jaguar F type launch starring Damian Lewis premiered at Sundance London 2013. Released in early 2017, Trespass Against Us (for Film 4/BFI and Lionsgate) starring Michael Fassbender and Brendan Gleeson marked Smith’s debut as a feature film director. Sally Golding is known internationally for her expanded cinema performances, her live sets are an edgy and intense exploration of deconstructed vision and sonified lighting. Spatial, her collaborator, uses home coded software and approaches low frequency vibrations with a minimalist’s scalpel, mixing snare grooves and tech house glitches with minimalist drone-and-bass. In an hypnotic opto-sonic live set from the duo, Golding harnesses the frequencies from camera flash units and a laboratory strobe lights to create discordant sonics and harsh lighting while Spatial constructs systems of minimalist vision and lighting through his use of home coded software and an analogue modular synthesiser. Flipping sound and light relationships into polyrhythmic convulsions, the pair create a synthesis of phenomenological optics and acoustics, exploring liveness with banging audiovisual intent. Drawing strength from three very different artistic disciplines, Scald Process is a three-way collaboration between virtuoso violinist Liam Noonan, pianist/modular synth practitioner Eden Grey and audiovisual artist and Combat Records label boss Stormfield. The trio formed when British-Japanese Noonan, who currently studies electronic music production at Guildhall University, met Singapore-born Stormfield while both were working as technicians at Tate Modern. American-born Grey, who’s also currently studying, working on his PhD in Music at Royal Holloway, met the other two through DIY electronic workshops in London. Inspired equally by Autechre, Basinski and Scorn, Scald Process was borne out of dark rooms and pushing the extremes of harmonic noise with a solid sound system discipline, fusing strings, distortion, huge subs and technoid structures. Darkly beautiful and immersive, Scald Process inhabit what they describe as ‘dystopian sanctuary of shadows, with flashes of melancholic rage and flickers of light’. They blend improvisation of violin, piano and drum machine with subtle textures, seeding visuals that react with sound. Movements are captured via infrared, triggering audiovisual occurrences and modular synthesizers add further layers of sound and visuals. Pixi is an iOS app in development, a collab between Coldcut and coders Paul Miller, Amaury Hazan and Chris Rice. 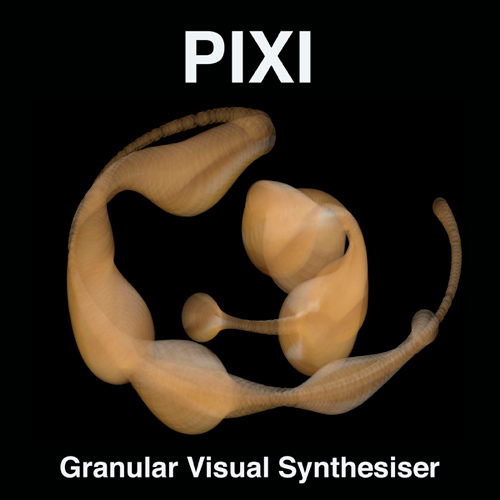 Pixi is termed a ‘granular video synthesiser’. It was first prototyped from round 2011 in Quartz Composer as Granul8…making it a qtz meant it could be loaded into modular VJ software VDMX and used for VJing. We then realised it would make a great touch controlled app. In audio, granular synthesis involves using a small part of a Audio sample, the ‘grain’ as the basis for synthesis. The part of the sample used for the grain can be shuttled up and down the waveform and can be of varying size. By analogy, Pixi uses the concept of Granular Video Synthesis: in Pixi , video synthesis is based on a small part of an IMAGE, typically a photo, and this source sample can be taken from different parts of the image, and change size and aspect ratio. The rectangular sample is combined with a mask image (e.g. circle, star) to yield a Brush. The Brush is then used to draw patterns. If the sample is the size of the entire source picture, then Pixi can function as a basic picture processing/fx app. But there are many ways in which Pixi can produce surprising and interesting visual results from manipulations of the Brush. Particle systems, such as multiple Brushes, are an enhancement to the program which was a bit like going from a mono to a polyphonic synthesiser. Pixi has a sophisticated Patch Matrix, like a modular synth in which Control params e.g. Acceloromoter, LFO, touch control, Perlin noise are assigned to Synth params e.g. brush size, position, alpha, feedback. This enable an infinite number of patches to be constructed, and favourite ones saved. In Spring 2017 we release a player version of Pixi to accompany the Bogus Order album. This provides 10 presets tracked with music from the album. Work is continuing on Pixi with Amaury Hazen from BCN now in pole coding position. We would like to work with visual artists to take their work as images into Pixi and then design presets based on these images, as a ‘Visual remixing’ process. These could be inapp purchases and so visual artists could earn from Pixi too. 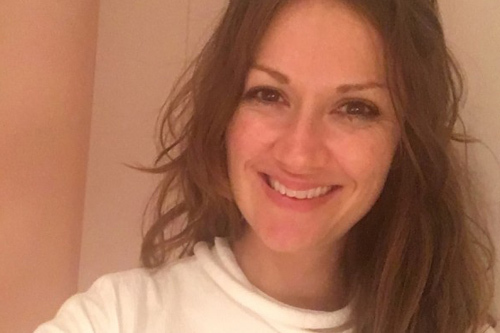 Lucy Sollitt is an art & technology expert & curator. She leads on creative media at Arts Council London developing projects aimed at advancing artistic practice & supporting arts organisations to use & reflect on new technologies. Lucy is also Digital Cultural Content lead at DCMS devising a new strategy for the Culture Minister & has recently written a series of articles on trends in art/tech for British Council. She has curated & produced cultural programmes for Rhizome, Tate Modern, Design for London. New technologies and online platforms have brought an expansion of creative practice at the intersection of art and technology, from ‘intelligent’ tools and bots, to mixed reality experiences, games and networked performance. Lucy will take us on a whistle stop tour of how artists are using new technologies and reflecting on their human impacts. Originally from Rimini and now based in London, Italian multi-media artist Matteo Zamagni gives a detailed talk on his work. He expresses his art through different platforms, including video direction, interactive installations and real-time and off-line graphics. The root of Zamagni’s projects come from his fascination and ongoing research into the connection between spirituality and science. He explores the boundaries between the physical and the invisible dimensions, the macro and micro scale of matter, the conscious and unconscious mind. Zamagni will introduce his interdisciplinarity work and his ‘behind the scenes’ processes, showing the ideas that drive his outputs. Andrea Sztojánovits graduated at the Intermedia and Pedagogy Departments of the Hungarian Academy of Fine Arts in Budapest in 2009. Presently, she attends the Doctoral School of the Academy. For more than fifteen years she has been engaged, with one of the frontier fields of digital picture creation: improvisational audio-visual performances, prevalently called VJ (video performer) on both theoretical and practical levels. The roots of the audiovisual approach go back to the times when the artist, and scientist started dealing with ‘audible’ image and ‘visible’ music. Progressive audiovisual art is built upon the methods and tools of traditional audiovisual technologies, uses the results of classical and contemporary image and music, and keeps up with the daily changing technologies and processes, so as to create vivid and exciting contents. The presentation aim to open the knowledge about thinking methodologies of vjing, how can we discuss it rahter as an expression method than an artform. From Sam Cooke to Nicolette, Morton Subotnick to Francis Ford Coppola, art has always been the natural voice of counter culture. In an age where art is under attack of political tribalism is more divisive than ever, Zan explores how art can once again been an alternative voice to the mainstream.